Yeliz Yuksel is one of the first women in Turkey to play ice hockey in the country we caught up with her and ask her a few question. 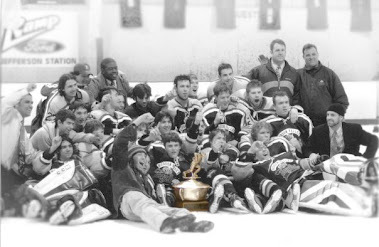 How did you get started playing the game of ice hockey? 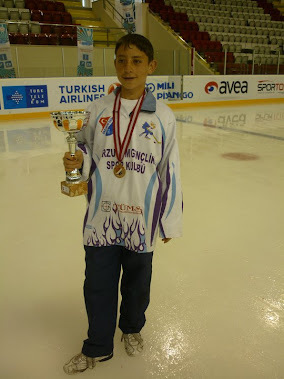 When I was around 14 years old, I was a trouble kid, very aggressive and very energetic so my parents always lead me to different sports but as soon as I became successful or got a medal I quit all the sports I tried, until I played ice hockey. 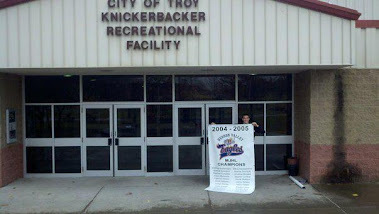 In 1999 they open up an ice rink (very small one ) at the basement of one apartment, it was near my school and very close to my home. 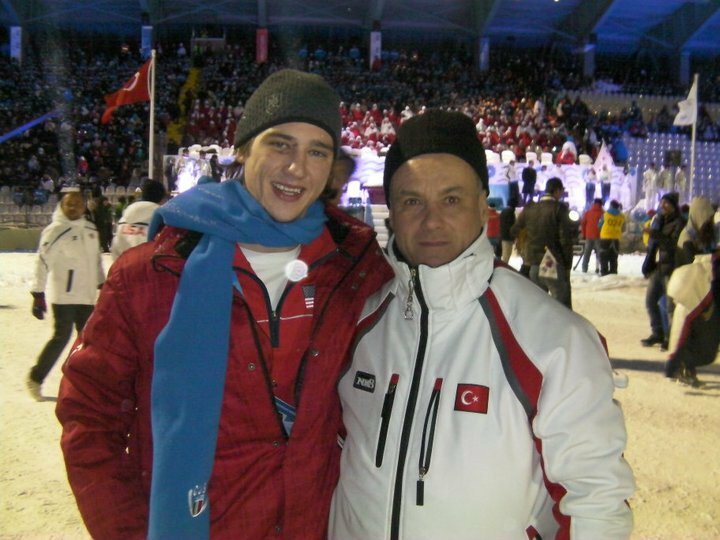 From the beginning it was very different because my home town (Antalya ) is one of the warmest cities in Turkey. 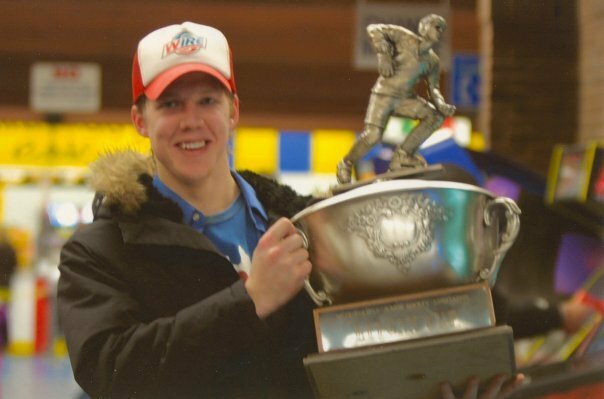 I think most important reason that I start to skate is it was different and than after I learn how to skate my first coach showed up and explained to me and the other kids about hockey (we didn’t even know this sport existed) and from what he told me it was all fit to my personality. 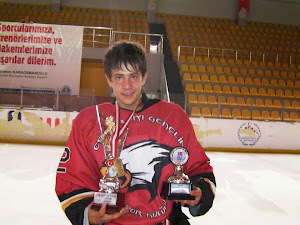 He made a deal with a college (Akdeniz College) and practice with us one year than we started to play in a men's league because there was no women league from 2000 to 2007. 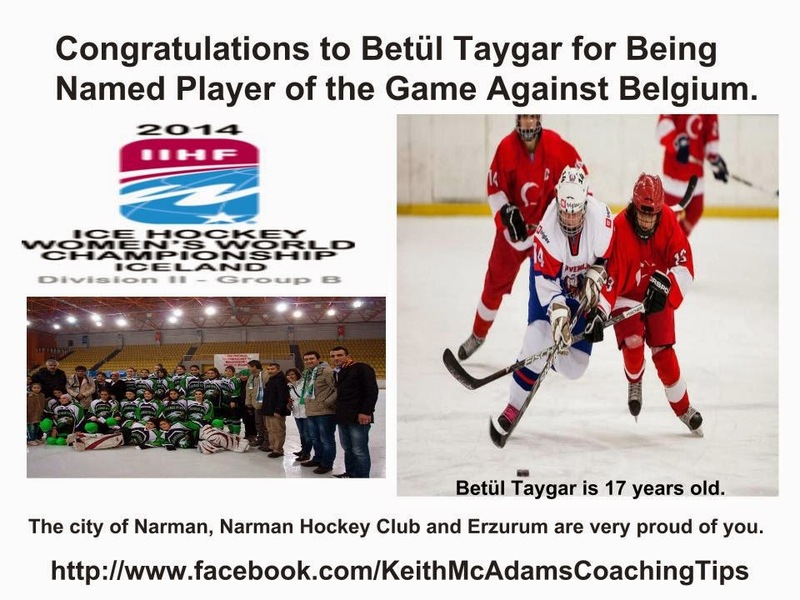 You are one of the first women to play hockey in Turkey. What attracted you to the game? When I play I feel free, I am very challenge person and as I told you before very aggressive I think different than other people it makes me calm down. 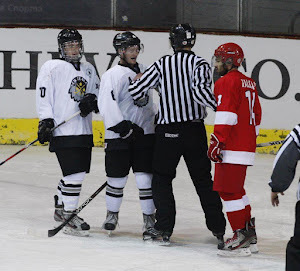 I love the strategies I love the struggle to have get the puck or keep the puck there is nothing to separate you from your opponents you have to fight for the puck. Most of the sports is about talent or power but in hockey you should have everything, you can be powerful or full of talent but if you are not smart enough if you can not read the game or if you don't have hockey sense you are nothing. You were captain of the Turkish women's nation team, What was that experience like and what do you tell the girls of today when they play international hockey? 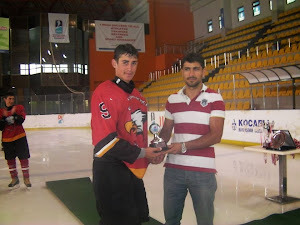 I was a captain in 2011 for the University, 2012 in Debl league and Team Turkey in 2012-2013 world championship and also 2014-2015 world championship. 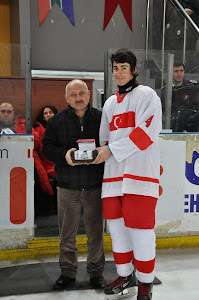 First of all it was a great honor to play for Turkey and be a captain. When we started to have a national teams, we all realized that we need to learn many things, we have to work harder, we have to have better coaches who should practice with players also educate more coaches and to be able to catch up the level of other countries we have to sacrifice from our lives. 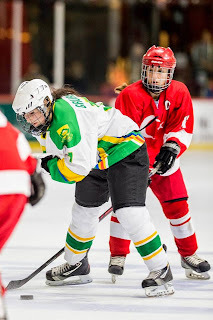 When I talk to girls I mostly tell them that it doesn’t matter how good player they are in Turkish league, if they really want to be hockey players they have to work hard and hard and harder, so in my team it is not possible to miss any practices. During your playing days what was your favorite international moment? 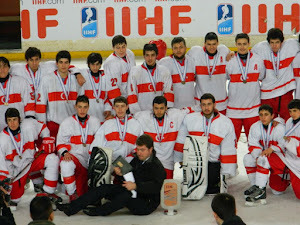 We were singing kind of Turkish Youth Anthem just before we step on the ice, very loud and lyric. I think it was the best and my favorite moment. From what I have been told you are now a player coach Narman women's team. 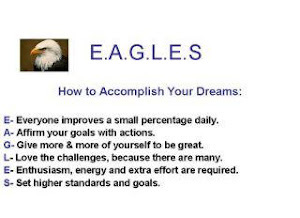 What can you tells us about the team? 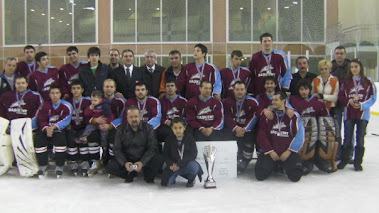 It is very new team and we are in our third year as a team. 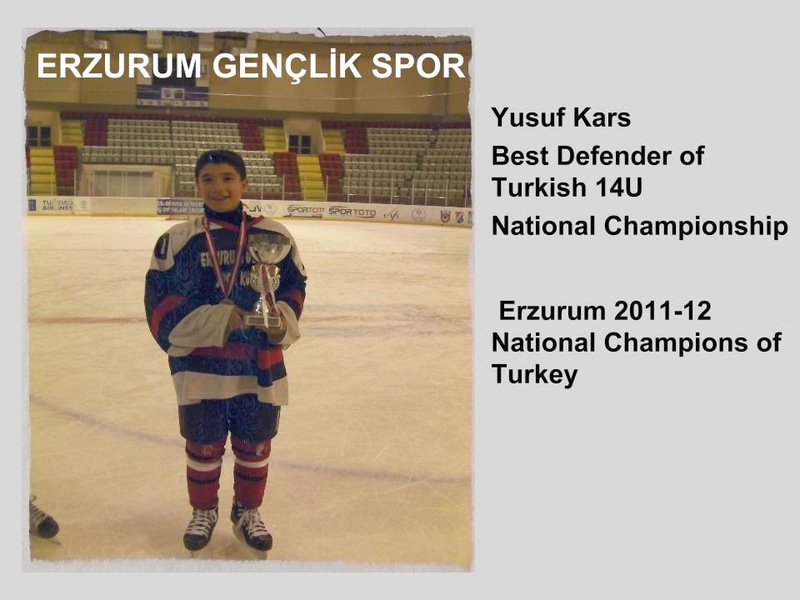 When I arrived in Erzurum (city name where team belongs to) I had very hard time with girls because I had to teach them everything from the beginning like holding the stick, skating, stopping, shooting and I had to teach them in couple of months because we had to play in the league but I was also lucky because of what they could provide me was better than any team in Turkey. We could have more ice time and free equipment and they gave us free buses. From the first week I cut couple of girls because they did not show up during the practices. The rest of the girls kept coming. First year with the help of 2 Canadian players we came 3rd, the second year without imports we came 2nd and this year we haven’t lost any games yet, hopefully in this month 21st-22nd-23rd of March we will play in the finals and we want to be a champions. This year we also have one Slovak and one Canadian player. But most important is I have Keith McAdams as my great mentor. When ever I struggle he helps me with no questions. How many teams are there in the Turkish women's league and if some wanted to play in the league who would they contact? There used to be 10 teams but This year there is only 5 teams, because the federation doesn't support away games expenses anymore, But I think qualification is better now. 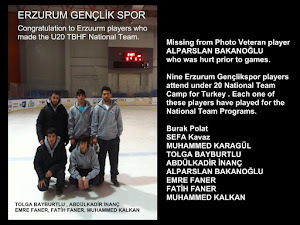 In Erzurum if someone wants to play, they have to contact my club; but in other cities there is so many different clubs they can contact. You are responsible for women's hockey in the City of Erzurum. 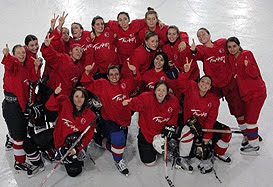 How do get more girls to play the game in Turkey? I am also a P.E. teacher at the public school . Since last summer I was working at the school in Erzurum. 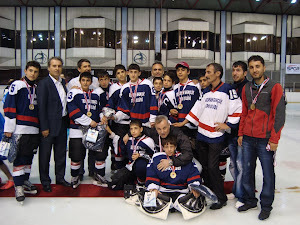 When I was working there it was easier to find more girls because I gave them a free skating courses so I could bring many girls to the ice rink but Erzurum is also very religious city so families don't really support their girls to do sports. If I found a girl whose parents didn’t let her play I would knock on their door and talked to them many times, But other cities it is not problem so with some advertisements or with use of media I put some games online so that we can find more girls. 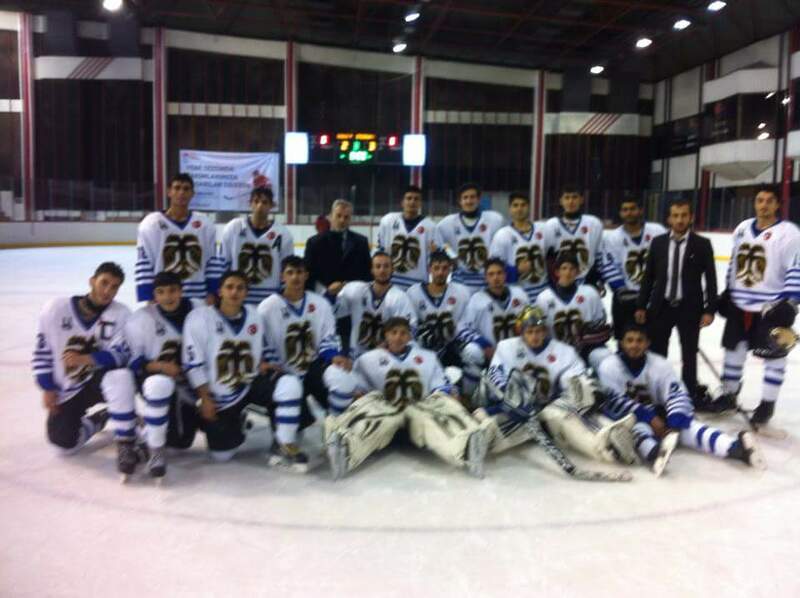 There is still a lot of people in Turkey that don't know anything about hockey so we need to show them how wonderful it is. You say you knock on peoples doors and talk to parents, what things do you tell them? I talk to them about their daughters future life; because in Turkey if you want to go to the University you have to pass the national exam. and if you want to work for government job after you graduate you have to pass another exam which is very hard to pass, people work 2-3 years for that. 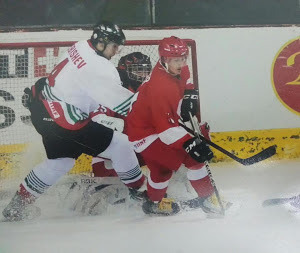 But if you are national player of any sport it is easier to get the sport departments of the University, Specially in Erzurum one of the physical exam is Hockey. 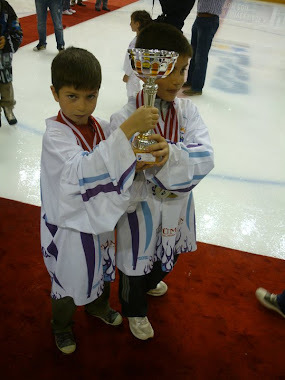 And if you graduate any sport department of the University and if you compete world championships or Olympic games you can work for government which is the most guarantee job in Turkey, So I tell their parents, if their daughter works hard in couple of years their future will be guarantee. Also again if you are national player and study at the University in any department, government gives study grant and that money is more than average that they can make with working in any job. There is another thing, as I told you before Erzurum is small and very religious city, if girls do not do any sport they might marry very early or run away from their home or find very bad job to make less Money and work hard, because there is no social life for them. And non of those things can be parents dream for their daughter life. 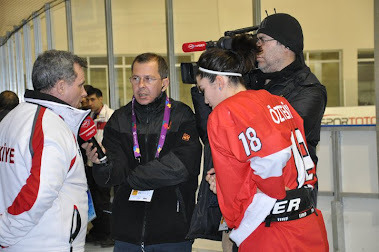 If you had a crystal ball what would you like to see happen in women's hockey in the next five years in Turkey? I would love to see the girls play at a Winter Olympic Qualification. It would be a pride, huge pride to see them play at the Olympic games one day. 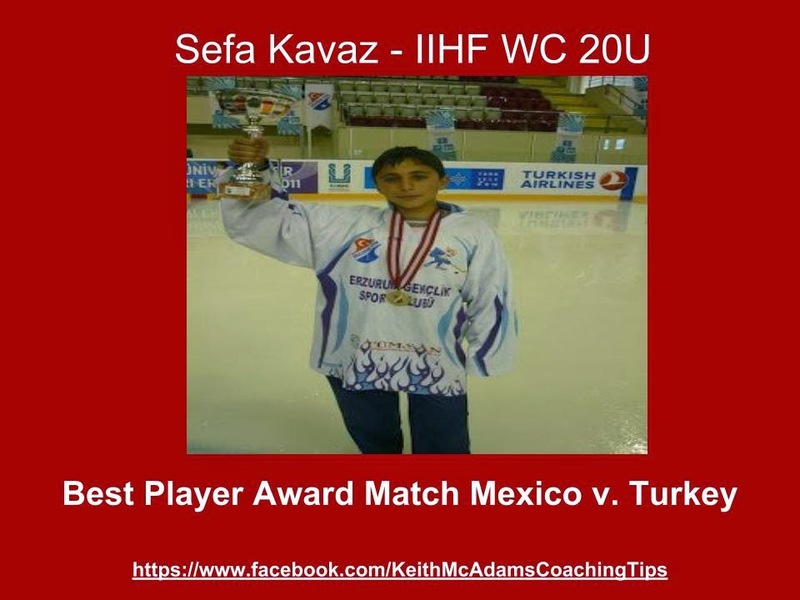 You have worked with Keith McAdams at GKS and some development camps. What did you learn from him and how do you apply that to your club team Narman? I learn everything from him and I am still learning. Before he arrived to Turkey we didn't know anything about system or tactics, whatever we play it was all about individual skill of the players and the other coaches who came before Keith they all saw that there is so many things to teach after couple of years they all gave up on us but Keith never. 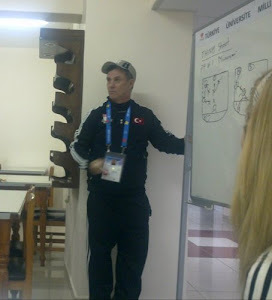 He changed everything about Turkish hockey also besides the hockey he also showed us how to be great coach. 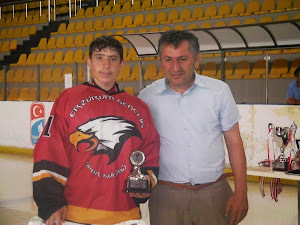 He teach us to be disciplined, he teach that coaching at the rink and outside is totally different things like you can be mad at a coach during the practice but you shouldn't carry that to the outside as a coach or player. Now I have the same rules in my club, during the practice or games the girls all belong to me but after the practice I belong to them, they call me “ABLA” it means older sister. Also I teach discipline, I don't accept any reason to not come to the practices. Those are the things I learn t from him, basically he teach me coaching is not just preparing the practices or writing down the lines; It is being coach, a teacher, a mentor, a doctor, a therapist, family and a guard sometimes. 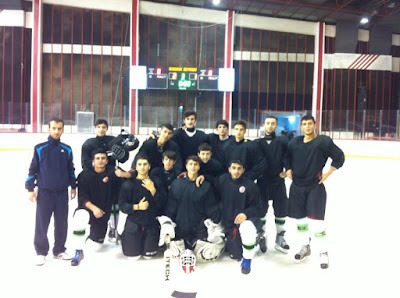 Do you think hockey can be a big winter sport in Turkey? It can be because it is very close to Turkish people character. Who ever watches once they all ask for other games. 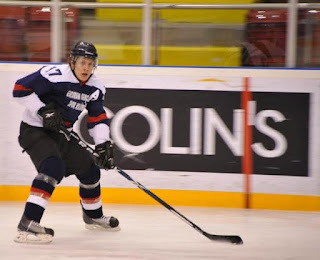 Do have a favorite player in the NHL or Europe? My favorite player was Wayne Gretzky. 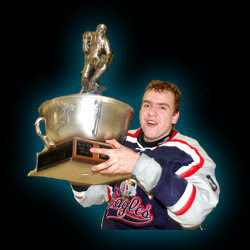 When I started to play I had 99 and played with that number very long time, But for now I think I like Alex Ovechkin. 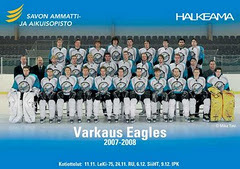 Who is your favorite Team in the NHL or Europe? I don't really have favorite team in the NHL, as much as I have time or it is online I try to watch. When you are not in Canada or USA it is hard to support the teams. 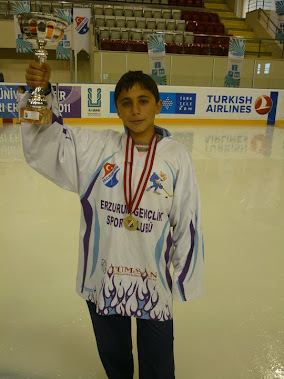 Congradulations to EMRE FANER for being named as the youngest defender to Turkish National Team. 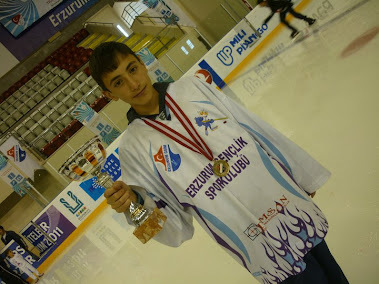 Emre is 18 year old and has established himself as one of the best defensive players in Turkey. 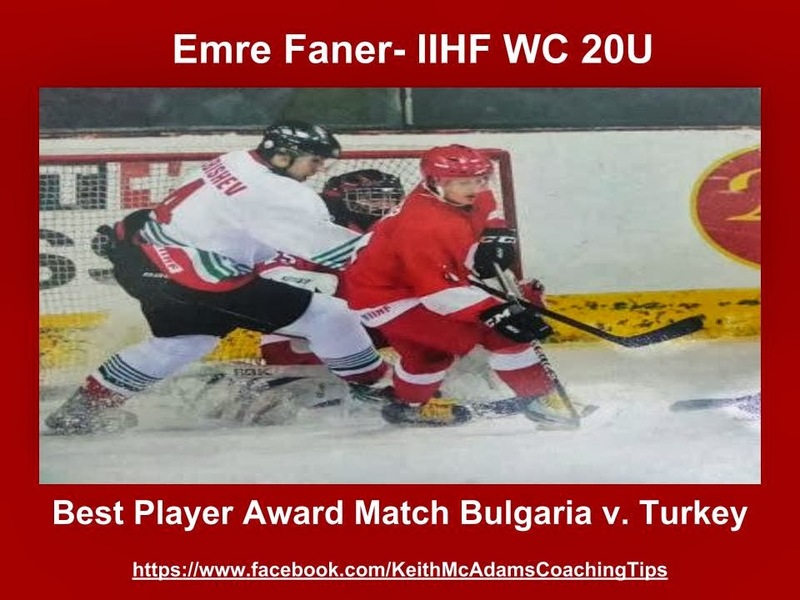 "Emre has made his mark over the past two years as the hardest hitting defenders in Turkey," said Keith McAdams, Head Coach of ERZURUM GENÇLİK SPOR. " 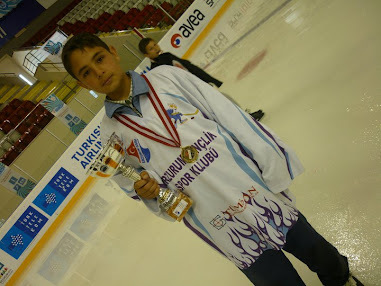 Emre is one of the fastest skating player and skilled players in Turkey." Played for U18 and U20 Turkish National Team Camp. 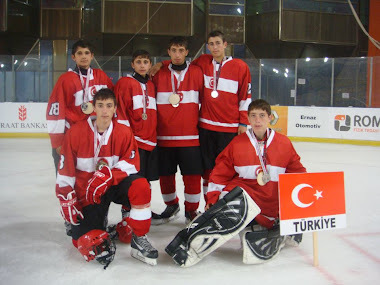 Congratulation to the following players from Erzurum who played for Turkish 18 National Team: ABDÜLKADİR İNANÇ , Ömer Kantar, SeFa TaKar, Sefa Kavaz, Fatih Faner, Emin Savas and Muhammet Karagül. "There no doubt about it Erzurum Gençlikspor is producing the best young players in Turkey, " said Keith Mcadams, Head Coach Gençlikspor. 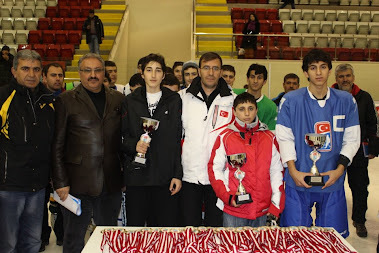 "In two year I believe 2/3 of the U18 and U20 Players will come from Erzurum Gençlikspor." It was a very special win tonight for Erzurum Gençlikspor, they won their 3rd straight regional championship of Turkey with out SEFA Kavaz. 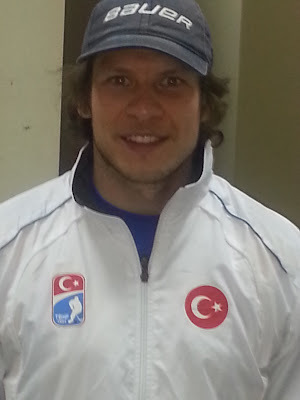 MUHAMMED KARAGÜL. 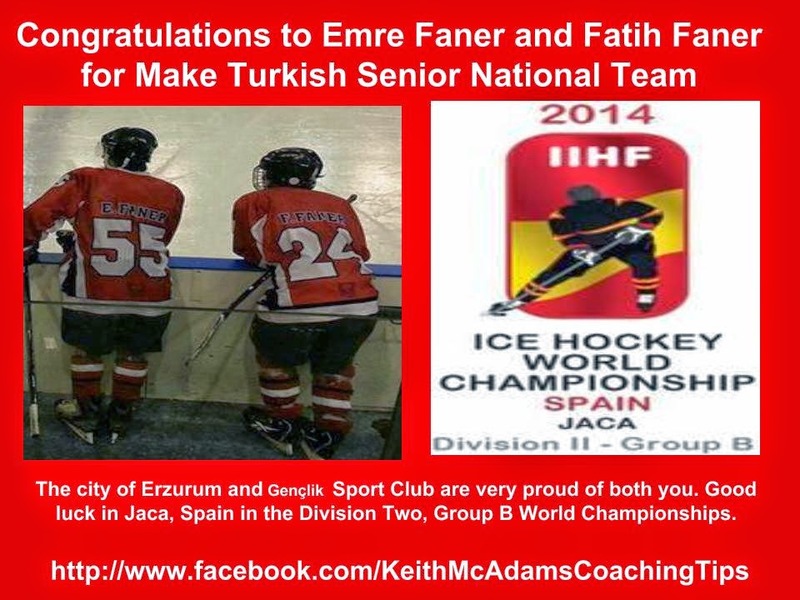 ABDÜLKADİR İNANÇ, and FATİH FANER who are attending the 20 and Under Turkish National Camp. Twenty players from GSK nominated for National Camp. All 16 Players from Championship Team Came from GSK. 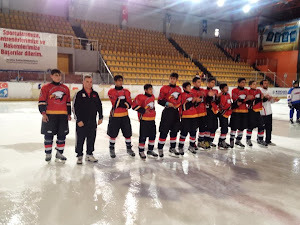 All 6 of GSK U15 Player Make National Team: Ömer Kantar, SeFa TaKar, Sefa Kavaz, Fatih Faner, Emin Savas and Muhammet Karagül made TBHF U16 Team. All Right Reserved to Keith McAdams. Simple theme. Powered by Blogger.